A clothes dryer speeds up the laundry process so that you can save time and not have to rely on the weather. 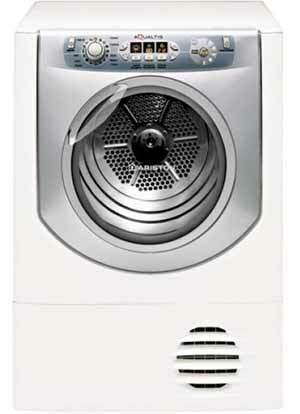 This buying guide outlines the features you should consider when looking at tumble dryers. Vented: Takes damp air produced by the drying process and sends it outside the home via a hose to prevent condensation. You'll need to install the dryer near an outside wall or window, in order to properly plumb it. Condenser: Separates water from the moist air into a container, which is emptied after drying, or pumped out by the washing machine plumbing. You can install a condenser dryer in any well-ventilated room. What Does Dryer Capacity Really Mean? The larger the drum, the more efficiently hot air flows through the machine, resulting in faster drying times. Allowing fabrics plenty of room to tumble means less creasing. 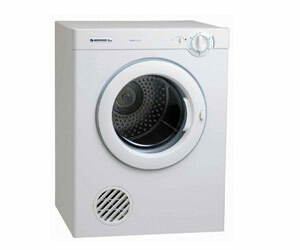 Tip: Quality tumble dryers have stainless steel drums, which last longer and have a smooth finish so fabrics don't snag. Most dryers have settings for cottons or synthetics, and some also have one for delicates. 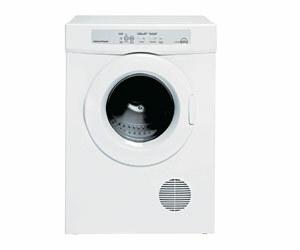 Most dryers have a reverse tumble feature where the drum rotates both ways, pausing in between. This keeps laundry separated, plus dries it more evenly and quickly. An anti-crease feature will continue to tumble your clothes from time to time at the end of the cycle so they don't get creased if you can't empty the machine straight away. A cool air setting which can be used to air fabrics that have been stored away. State-of-the-art dryers detect whether clothes are dry or not, and continue drying until they're done. Clothes dryers with moisture sensors control the length of the drying cycle, decreasing drying times and preventing over-drying. Clothes that are over-dried tend to lose their shape and wear out sooner. Generally speaking, clothes dryers are one of the most power hungry appliances in your home, so check the Energy Star Rating when buying one. Running costs will depend on how long and hard the machine has to work. Some dryers have a timer delay so you can use them overnight on a cheaper electricity rate (check with your local energy supplier). Others have sensors which detect when the washing is dry and then shut the dryer off, saving energy and avoiding over-drying. Try to dry similar fabrics together. Make sure the controls on your clothes dryer are easy to read and reach. Basic machines will have mechanical knobs, while high-end models will have digital buttons and display screens. Clothes dryers strip away lint as they dry your clothes. Dryers have a lint filter, either at the front or back of the tumbler. The filter needs to be cleaned regularly to guarantee that your dryer performs its best. Front-mounted filters are more accessible and easier to clean; if you're going to place your dryer on a high shelf or mount it on a wall, it's best to buy a model with the filter at the front. A clothes dryer can be quite loud because it has a spinning motor and drum, as well as an exhaust fan. At the very least, look for a dryer that has a dampener system to cushion the drum. Consider where your dryer will be located, how close your laundry is to living areas, and how quiet it needs to be. If possible, try and determine exactly how loud it is before you buy it. Measure the available space to ensure a clothes dryer will fit and that you can access it easily. If floor space is limited, some clothes dryers can be stacked on top of a front-loading washing machine. Other dryers can be mounted on a wall; if you intend to mount on a wall or shelf, consider whether it can support the machine's weight. Don't forget to consider the location of the clothes dryer's exhaust vent. The hot, moist air from a dryer can unnecessarily heat your house, cause problems with mould and create a safety risk. Be aware that not all dryers come with exhaust ducting, and not all laundries will easily accommodate ducting to pump the exhaust outside.